CAN YOU BUILD COMMUNITY IN DAY CAMP IN ONLY ONE WEEK? When Sarah sent her 6-year-old son off to day camp for the first time, she was excited but worried. “What if he doesn’t love Jewish summer camp as much as I did growing up?”, she wondered. Her concerns mirrored those of many parents who grew up exclusively attending fully immersive Jewish overnight camps. Would the limited hours spent in a Jewish environment at day camp allow her son to form as meaningful a connection to Judaism as she’d experienced at overnight camp? As the Youth Engagement Director for BB Day Camp Portland’s first summer, I often heard from parents who were concerned that youth wouldn’t be engaged. I assured Sarah she needn’t worry. I’m not sure if she believed me, but I watched her reservations evaporate when she attended Shabbat at the end of her son’s first week at camp. As we watched her six-year-old son joyfully celebrate with his group, Sarah was moved to tears. Her son clearly loved the Jewish songs, the counselors, and his new friends. She was amazed by the depth of the connections that had so clearly formed between everyone at camp within only one week. I was equally delighted, but less amazed. 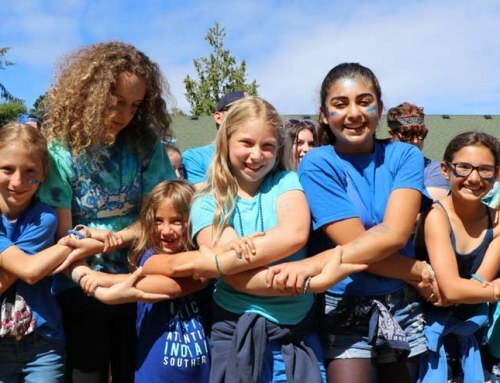 Moments like these are characteristic of BB Day Camp Portland, and powerfully illustrate what Jewish day camps do every summer: provide campers and their families with a significant connection to Judaism, community, and each other. Day campers learn that their Judaism isn’t specific to a time and place, but a natural and integrated part of their daily lives that continues long after camp has ended. Many parents and campers have expressed how they appreciate that they now have a place where they can meet and play with other Jewish kids – kids who celebrate the same holidays, kids with whom they can have playdates within their neighborhoods, and friends who they can come back to every summer at camp. Jewish day camp offers a unique opportunity for campers to form significant connections with their Jewish identities and important friendships with other Jews within their own communities. Meaningful and engaging Jewish experiences are woven throughout our BB Day Camp Portland community. We had the opportunity to thread our BB Camp Jewish values – which stemmed from Foundation for Jewish Camp’s Hiddur Initiative – through our weekly themes and activities. Our unique partnership with an area synagogue has allowed for the clergy and congregation’s educational team to bring Jewish teachable moments to camp through art, music, storytelling, and Shabbat celebrations. Additionally, we’ve become a melting pot for members of the Portland Jewish community. During our inaugural summer, we have welcomed campers from all different Jewish backgrounds representing seven local synagogues alongside 30% of the campers from unaffiliated families. This diversity is reflected in our counselors as well. All of these Jewish experiences and backgrounds combine to bring a deep richness to the community we are building. Jewish day camps play an essential role in offering Jewish youth of all ages access to transformative Jewish summers. We at BB Day Camp Portland are thrilled to have had such an incredible first summer, and look forward to future Jewish summers filled with love, learning, and laughter. Liz Broberg has been working in Jewish day camps for the past 10 years in Los Angeles. 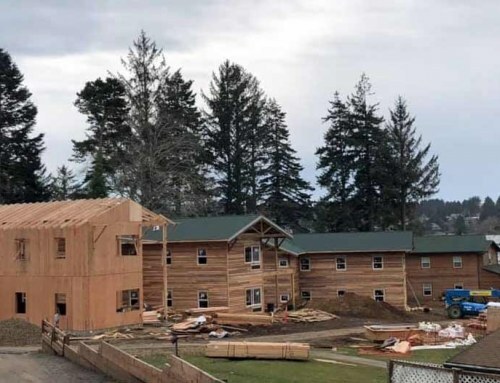 She is grateful for the opportunity to work with B’nai B’rith Camp in Oregon, an organization coming up on 100 years in Jewish camping, to create a new Jewish camping experience in Portland!